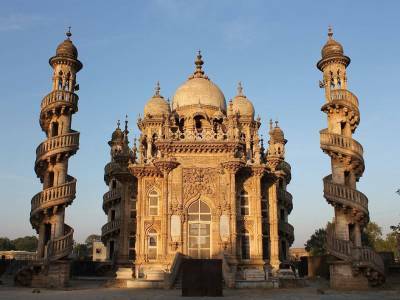 In Junagadh, Gujarat there was the independent province of Nawab. The kingdom was in the shade and did not contribute much to the main Indian history; still it gave the civilisation one of the greatest architectural marvels of India which is still in the unknown territory of world tourism. The mausoleum of Mahabat Maqbara is dedicated to the royal court minister of Nawab Mahabat Khan II, named Wazir Bahaduddinbhai Hasainbhai. This memorial domed monument is loosely based on the structure of Taj Mahal with one centre domed monument having for minarets surrounding it. This is all of the imprinting; the rest of it is complete original true to the word fusion. This establishment is truly a specimen of architectural brilliance crafted to perfection by the excellence of creators. The minarets are inscribed with a marvellous sculpture with spiralling stairs which represent different styles of architecture for the western countries. The centre onion dome is made with foreign glasses and murals and other materials to make it gilded with beauty. 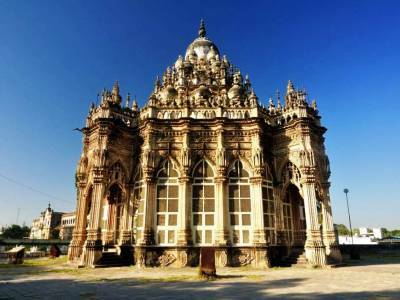 The mausoleum is built with a fusion architectural style consisting art & sculpture of Gothic origin, French & Belgian origin, Indo-Mogul art and many more. 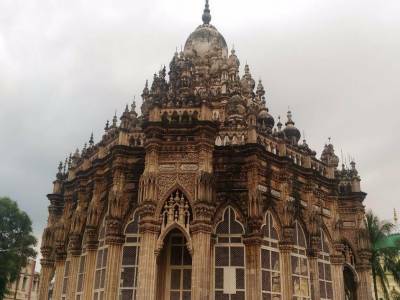 For the tourist visiting the princely state of Gujarat this mausoleum named Mahabat Maqbara in Junagadh is a hidden gem and a must visit for all. 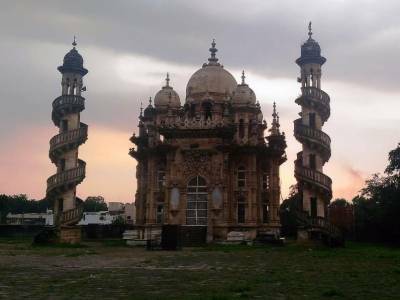 The location of the mausoleum is very accessible and it has a railway station about five minutes away from Junagadh Station. 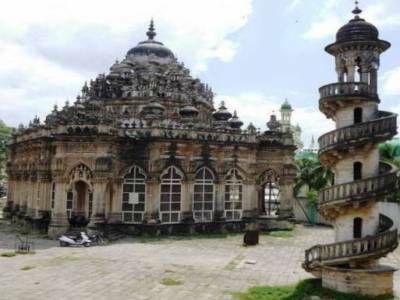 Get quick answers from travelers who visit to Mahabat Maqbara.